One of Hollywood’s favorite interracial couples is Halle Berry and Olivier Martinez. The beautiful star of the sci-fi series “Extant”, who plays biologist and astronaut Molly Woods seems to be all for interracial relationships – her character was in one and she’s been happily married for Olivier Martinez since 2013. 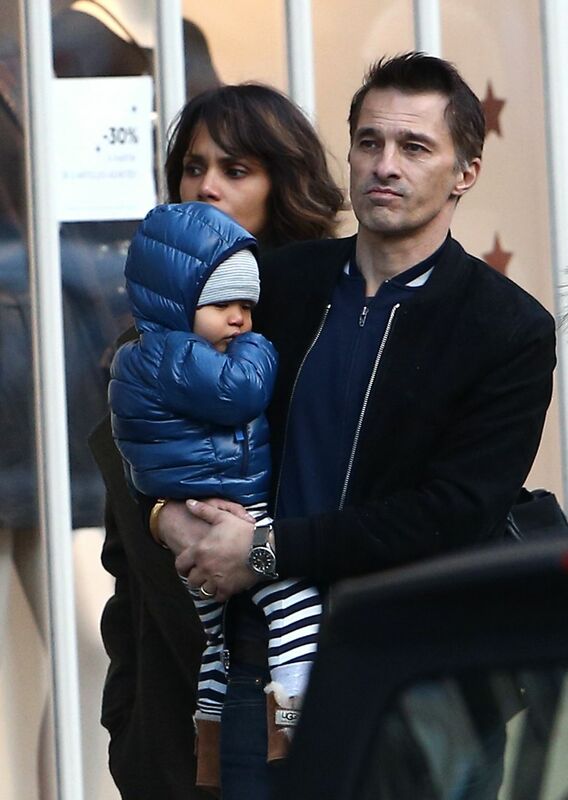 Olivier Martinez and Halle Berry married on July 13 at Chateau des Conde in France. The ceremony took place in a small chateau, where the civil union was followed by a religious ceremony at the chapel in the village. Halle Berry and Olivier Martinez had insisted on a small, intimate ceremony with only 60 guests, all of which were close friends and relatives. This is Halle Berry’s third marriage, she previously wed to baseball player David Justice and Eric Benett. The couple met on the set of ‘Dark Tide” in 2010, dated for two years and got engaged in 2012. Halle, 46 at the time of the wedding, was also pregnant and gave birth to her son Maceo in 2014. She admitted she called her son her “miracle baby”, because neither she, nor Oliver Martinez expected him – she actually believed she was premenopausal! Just recently, there have been some speculations that Berry and Martinez’ interracial relationship was heading for divorce. Tabloids claimed that the couple haven’t been seen together since December, 2014 and divorce was imminent. Halle Berry was spotted without her wedding band on set. The rumors turned out to be false, after she said she’d actually lost it in Mexico in January 2014. Halle Berry has no intentions of splitting or divorcing Olivier and Halle seem more than happy in their marriage and with their year-and-a-half-old son Maceo.